DJ, producer, art director, and boss of the Ed Banger Records label created in 2003, Pedro «Busy P» Winter shifted from being an emblematic figure of the Parisian underground to the Frenchman who makes the whole World dance. 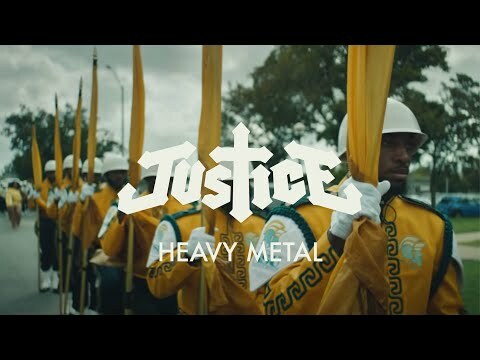 At only 38 years old – 12 of which spent managing Daft Punk – the man who discovered Justice is established as the golden man of electronic music. Yet, this former skateboarder, fan of hard rock, stumbled upon his career by chance. As a real club kid in the early 90’s, he went out every night at the mythic Palace club where he held his first parties in 1995. In that temple of Parisian nightlife, an impressive list of talents with a bright future were to be found. Daft Punk of course, but also Motorbass, Dimitri From Paris, Dj Cam and more. His rise to prominence may echo that of the ‘American dream’, but his success has not produced a shark-like manager, not a hardened businessman. Available and friendly, his energy is contageous. « A lot of people think I plan everything, but I never had any career plan. If I worked a pose, a cool attitude, it would be blindingly obvious. All that happens to me is actually a mixture of chance and luck. I was at the right place at the right moment, the rest is work. » And it has paid off. Between the Justice hits and the World tours, Pedro is more ‘Busy’ than ever. In many years, he tends to spend almost as much time on planes than in his office. Pedro has played at some of biggest festivals and clubs worldwide. In 2013 the label has 10 years, and Pedro decided to do a 10 cities world tour to celebrate this birthday (New York, Mexico, Londres, Berlin…). In 2014 he launches his own radio (Ed wreck), while he starts a new job at the national radio Le Mouv and swiss one calls Couleur 3, both as a dj-behind the microphone. Pedro manages to find the time to diversify his activities, and his brand. Driven by the demand of the fans, he created COOL CATS, becomes CLUB 75, with So Me and Michael Dupouy from LA MJC. The brand sells their merchandise, including limited collaborations and some fresh stuffs.